The long-in-development Gambit movie isn’t about to see the light of day anytime soon. At least, that’s according to Simon Kinberg, director on Dark Phoenix and a key component within Fox’s X-Men universe. 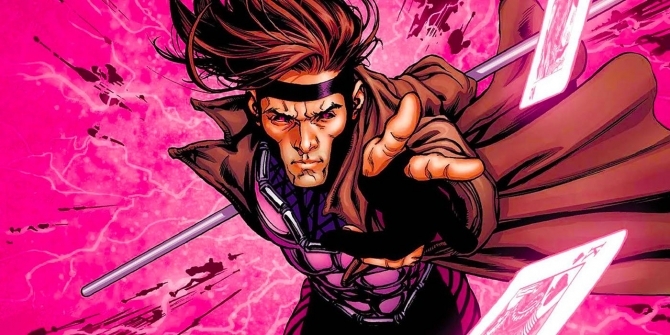 It’s one that has been completely upended by the Disney-Fox merger, and while there have been rumblings that Marvel Studios will, through time, recast all major mutants – save for Deadpool – it’s looking increasingly likely that Gambit will survive the acquisition, too. That’s good news for Channing Tatum, then, who has been actively campaigning for a live-action Gambit movie since as far back as we can remember. Granted, Kinberg is quick to point out that the film has been placed on ice for the foreseeable future, but that doesn’t necessarily mean it’s off the books entirely. The latest? We’ll see, like, honestly since the merger happened I think all of the movies that are at Fox, not just the Marvel movies but all the movies at Fox are being evaluated and they’ll figure out what they want to do with them. I’d love to see it happen, I love the idea of Channing playing Gambit, I think we have a great script and I think it was a role he was born to play. It’s a character I grew up loving and I know the fans love, so I suspect/hope it’ll happen. A key problem for Gambit is its inability to keep hold of a director for more than five minutes (okay, five months, but you get the drift). Rupert Wyatt and Doug Liman were once involved in the ill-fated project – not at the same time, mind you – before Gore Verbinski of Pirates of the Caribbean clinched a deal. Alas, he also made a beeline for the exit door before Gambit could gain any sense of momentum. As for the movie itself, Wyatt was previously quoted as comparing it to an old-school heist flick. Yeah [a heist film] of a sort. I mean it was a period film. It dealt with the 70s up until the present day. It was about kind of mutant gangs and the notion of what it means to belong, tribalism in this bayou-like environment. As things stand, Gambit is still looking for something – anything – that will save it from the depths of development hell. There’s still a sliver of hope, of course, but Disney will have to act soon before it loses the support of Channing Tatum and Lizzy Caplan, both of whom are still attached to star… for now.